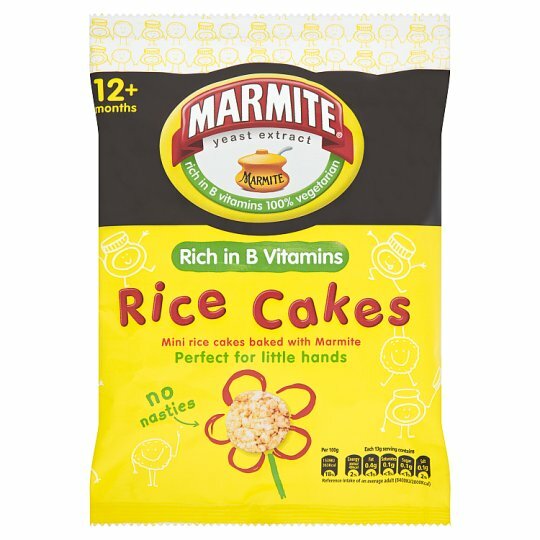 Our Rice Cakes have been baked with a toddler sized amount of Marmite. With absolutely no added junk, just the great wholesome savoury taste of Marmite, with added B vitamins. Great for first step into new flavours and to begin their quest to be the Marmite lovers of the future! Once opened store in an airtight container and consume within 14 days.